* price per person, based on 2 people sharing a room. Single supplement, if applicable: £545. Prices do not include flights. Quite rightly known as the “pearls of the mediterranean”, the seven islands that make up the archipelago of the Aeolians, with their two active volcanoes, offer some exceptional experiences for walkers. 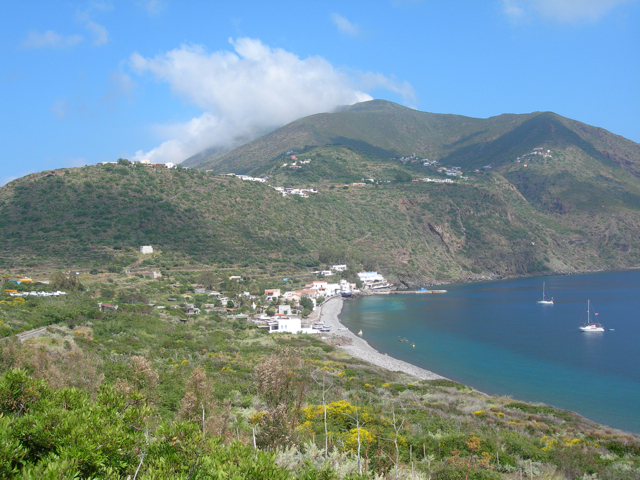 From drinking in the remote and tranquil atmosphere of Alicudi to climbing Stromboli and witnessing its dramatic eruptions at night, each island effuses a markedly individual character. And it is precisely the individuality of the islands that makes travelling to them so much fun. We rendezvous at Catania/Palermo airport and transfer by minibus to Milazzo. Depending on arrival times, it may be possible to take a short walk in the afternoon along the cape known as Capo Milazzo. Evening meal and overnight in Milazzo. 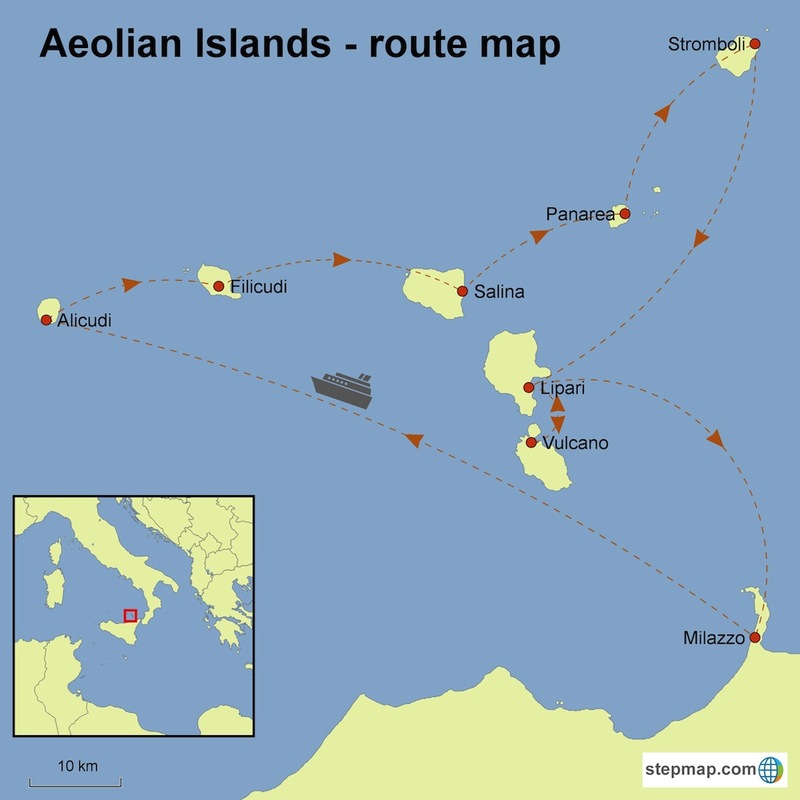 Depending on departure times (posted early Spring) we begin our Aeolian walking tour either by catching the hydrofoil to Alicudi in the early morning, or by catching the early afternoon hydrofoil and spending the morning visiting Milazzo’s immense, mightily fortified castle. 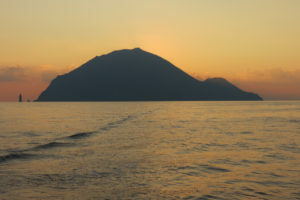 The hydrofoil to Alicudi from Milazzo takes around 2.5 hours. 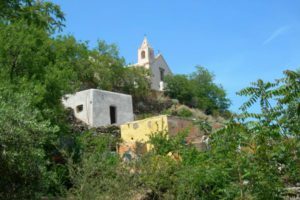 On Alicudi – the most remote and smallest of the islands – there are no roads, only stepped tracks up the steeply terraced hillsides. 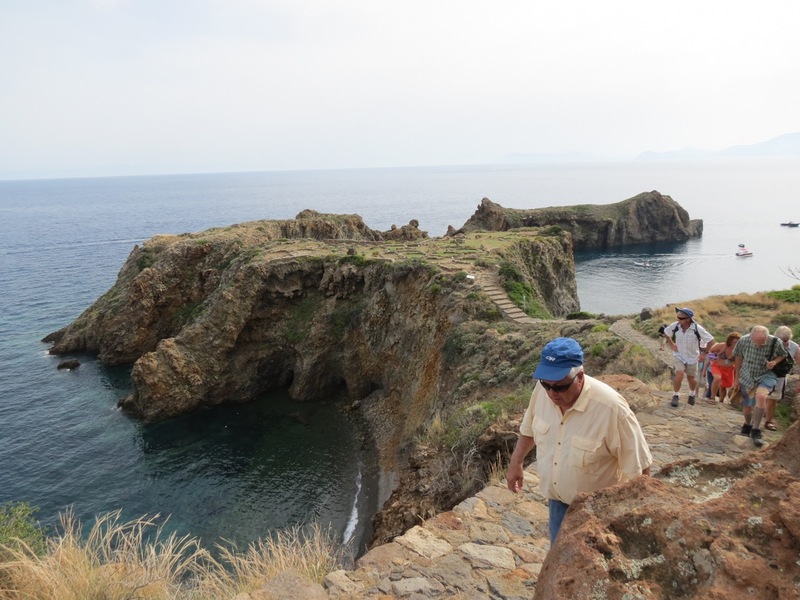 Our Alicudi walking route takes us above the terraces for some beautiful views bover the rest of the archipelago to the north coast of Sicily beyond. Assuming we arrive there in the afternoon, there will be time to climb to the summit (for those who wish) before an aperitif in the island’s only bar. Evening meal and overnight on Alicudi. After breakfast, we depart for Filicudi. 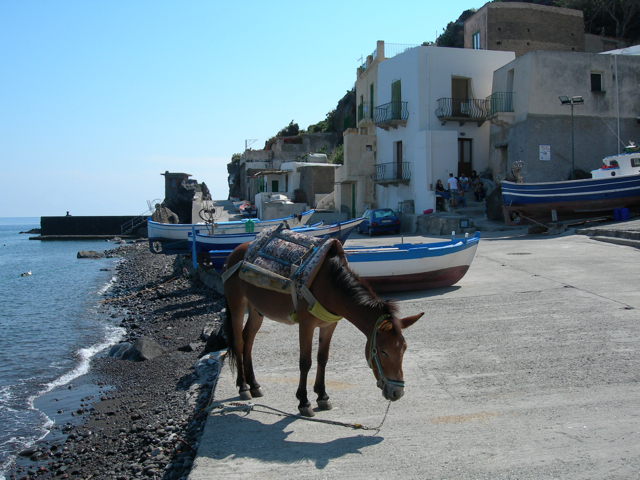 With its natural beauty, sparse population, whitewashed houses, lack of cars and wonderful network of well-maintained mule tracks, Filicudi is considered by many visitors to the islands to be the prettiest. The offshore stacks are a haven for birds, in particular the Eleonora’s falcon. We walk to find a Bronze Age village excavated on the Capo Graziano. For those who wish, and weather permitting, there may also be the possibility of doing a tour of the island on one of the local fishing boats. In the late afternoon, we depart for Salina. Evening meal and overnight in Santa Marina Salina. Twin-peaked Salina is the greenest of the islands. 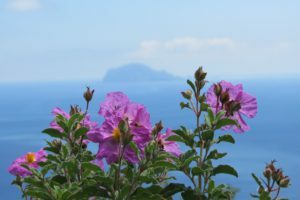 We start early in the morning and climb to the summit of its highest point, Monte Fossa delle Felci for some stunning views across to Lipari and Vulcano as well as to Stromboli and back to Alicudi and Filicudi. After lunch in Santa Marina, there will be time to relax by the hotel pool (or swim in the sea) before, in the early evening, we go to visit one of the island’s wine makers, still producing the local malvasia in the way it has been produced for centuries. 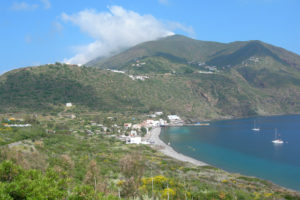 We transfer to Panarea, the smallest and most exclusive of the Aeolians, and spend the day walking to its highest peak, Punta del Corvo, returning via a fascinating Bronze Age village of circular stone huts which were probably inhabited way back in the 14th century BC. Back in the village of Panarea, where the local architecture has been carefully preserved, there is time to enjoy the atmosphere of the fishing harbour — or its rather cool bars and boutiques — before we return to the hotel. Evening meal and overnight in Panarea. 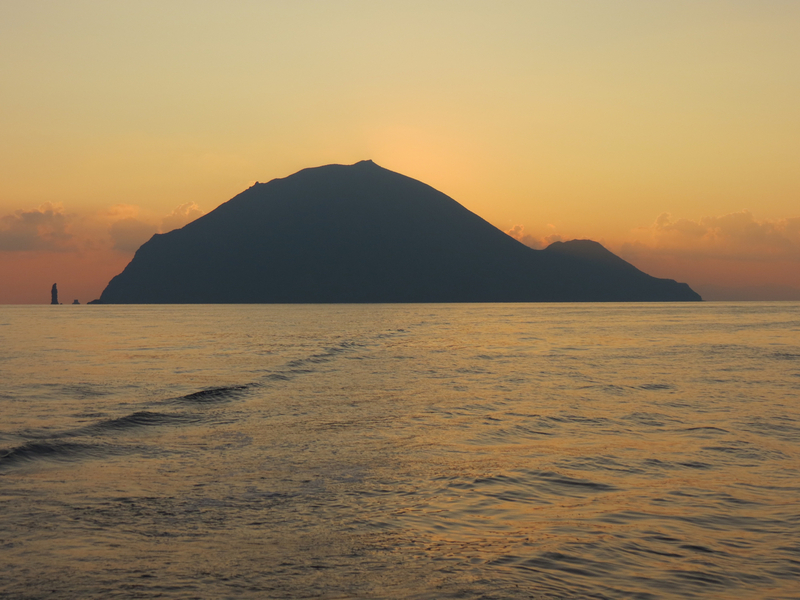 In the morning, we’ll catch the hydrofoil to Stromboli, the most active and dramatic volcano in Europe. We take a short walk around the flanks of the volcano to the observatory, from where we are able to see the volcanic activity at the summit. After lunch at the observatory, we return to the hotel for a couple of hours rest. 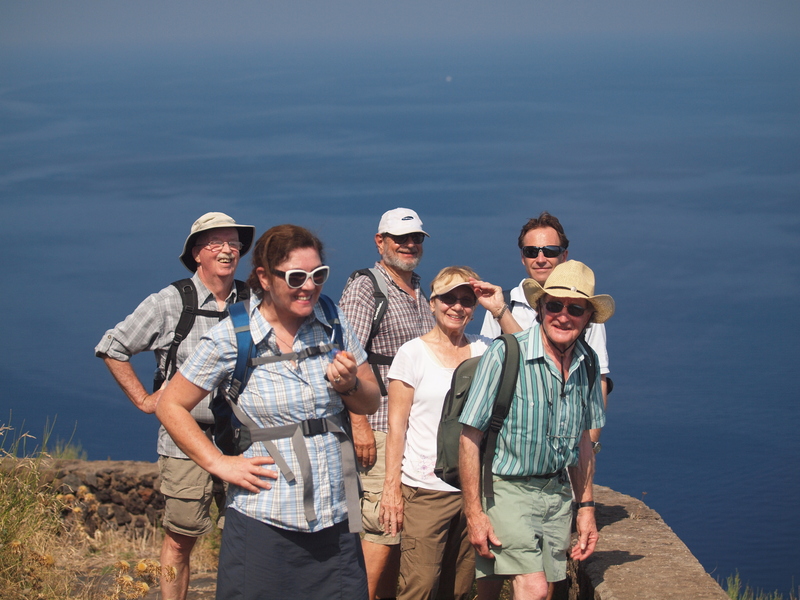 Then, in the late afternoon, for those who wish we join one of the parties walking to the summit of Stromboli. A continually active volcano, it consists of a single cone 924m high. Thanks to its volcano, Stromboli is the best known of the Aeolians — and even gave its name to a kind of volcanic eruption! 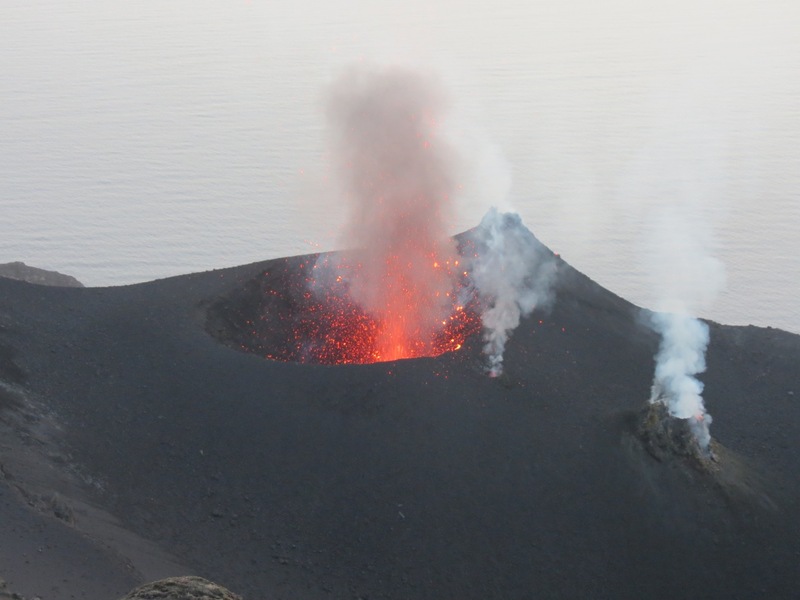 Undoubtedly one of the highlights of any visit to the Aeolian islands is the thrilling spectacle of the frequent, fairly mild explosive eruptions from the volcano’s crater, which are best observed from the summit about 200m above the crater. It is long climb (about three hours) but we arrive just before dusk to see the magnificent sight of the sun setting behind Alicudi. 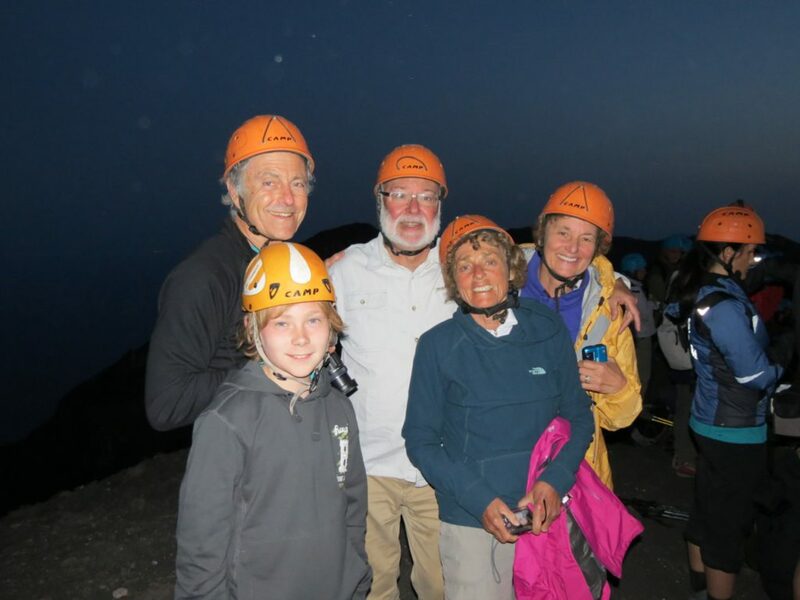 We then spend up to an hour at the summit, in the dusk and enjoying the eruptions, before descending back to the town. 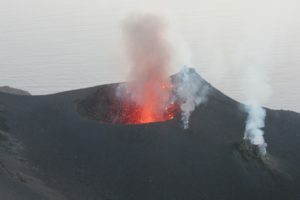 The whole trip takes about 6 hours, but if we are lucky with the eruptions, it is definitely one of the great highlights of the tour. Arriving back in the town, there is time for a beer and a pizza before we retire to bed. 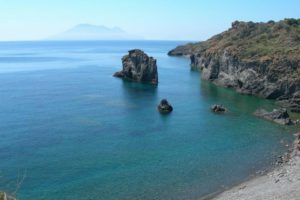 After our ascent of Stromboli, we have a lazy morning the following day and in the late morning, take the hydrofoil to Lipari where we arrive in time for a late lunch. 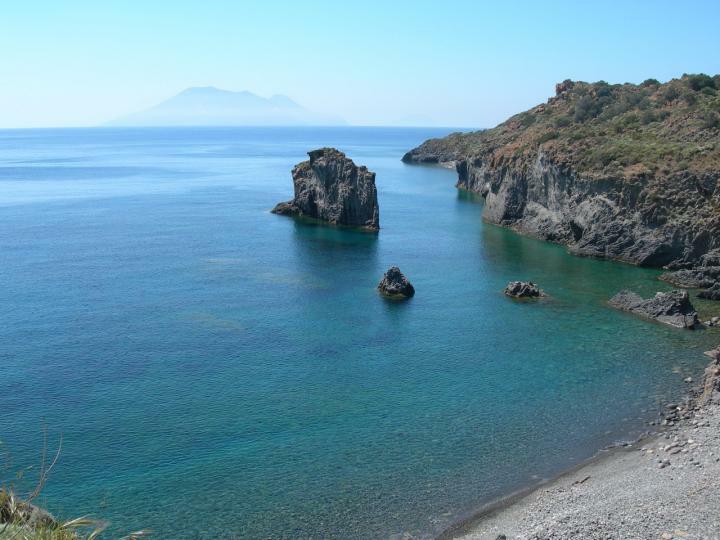 After lunch, there is an opportunity for a magical Aeolian walk along the Western coast of Lipari. 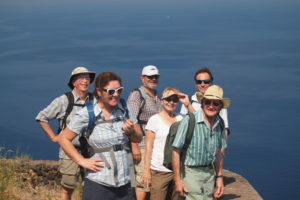 This is a gentle walk by comparison with the previous day’s exploits, but nevertheless, there are some breathtaking views over to Salina, Filicudi and Salina. Alternatively, of course, it is also possible to spend the afternoon relaxing by the pool of the hotel. Evening meal and overnight on Lipari. 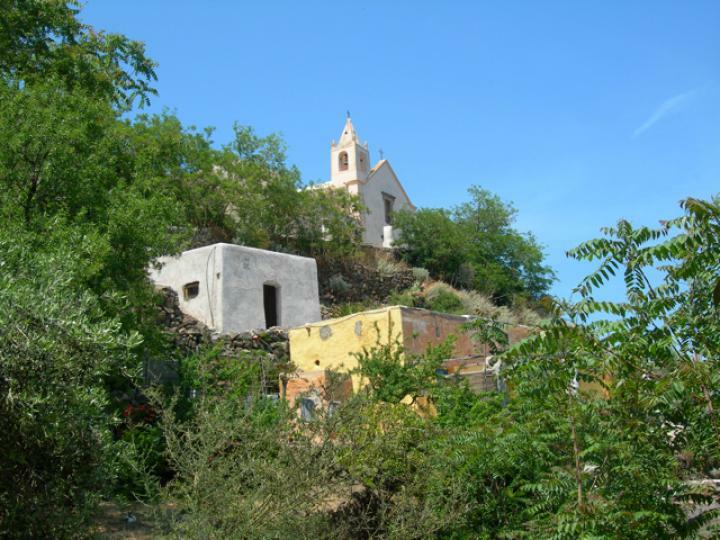 In the morning we make for Vulcano – of outstanding interest for its g spectacular volcanic landscape. We climb still-active volcano up to the lip of the crater, Fossa Grande (391 m), steaming with yellow sulphurous gasses, from where there is a remarkable view down right inside the crater. Compared to the hike up Stromboli, this is an easy walk, but the views from the top are just as panoramic, stretching right over the Aeolian archipelago. After lunch we return to spend the afternoon in Lipari. There is time to visit the museum – one of the best in Sicily – and perhaps do some souvenir shopping before we depart from Lipari the following day. 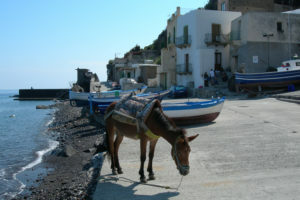 We depart Lipari in the early morning and hope to be back in Milazzo for 10am for transfers to the airport.